Pope Francis wades into US oil pipeline dispute by supporting indigenous people of America and their ancestral land rights. Pope Francis insisted Wednesday that indigenous peoples must give prior consent for any economic activity on their ancestral lands — an indirect critique as the Donald Trump administration seeks to advance construction on a $3.8 billion oil pipeline over opposition from American Indians. Francis met with representatives of indigenous peoples attending a U.N. agricultural meeting and said the key issue facing them is how to reconcile the right to development with protection of their cultures and territories. The Cheyenne River and Standing Rock Sioux tribes are suing to stop construction on the final stretch of the Dakota Access pipeline, which would bring oil from North Dakota’s rich Bakken fields across four states to a shipping point in Illinois. The tribes say the pipeline, being built by Texas-based Energy Transfer Partners, threatens their drinking water, cultural sites and ability to practice their religion, which depends on pure water. The last piece of the pipeline is to pass under a reservoir on the Missouri River, which marks the eastern border of both tribes’ reservations. Francis, history’s first Latin American pope, has been a keen backer of indigenous rights and has frequently spoken out about their plight. 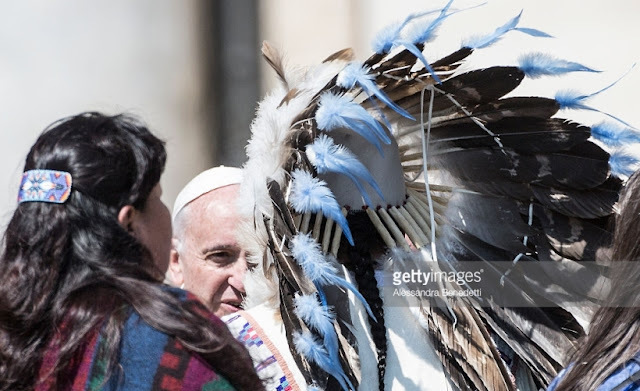 In recent interview Pope Francis apologized for the sins and "offenses" committed by the Catholic Church against indigenous peoples during the colonial-era conquest of the Americas. "I humbly ask forgiveness, not only for the offenses of the church herself, but also for crimes committed against the native peoples during the so-called conquest of America," he said to applause and cheers from the crowd. 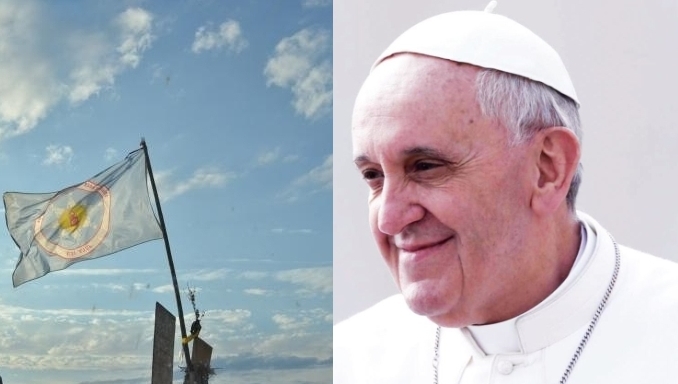 Responses to "Pope Francis stands with Native Americans against Oil Pipelines"